be it a landscape, figure or domestic interior. 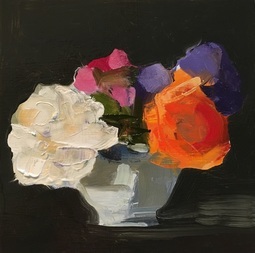 The act of painting releases a stream of consciousness and creative energy that reveals my view of reality, which is not always what I expect to see. The tension between visual perception and engaging with the paint itself guides my process. Jeanine Sobell Pastore grew up in upstate NY, received her BA at Bowdoin College in Maine, and worked in Boston as a designer and art director of corporate audiovisual presentations for over 20 years. 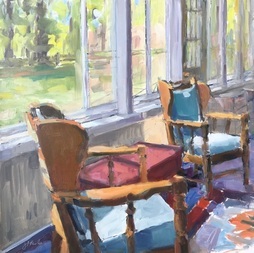 Now painting full time in her studio at the Munroe Center of the Arts in Lexington, MA, she exhibits regularly and has received awards including “Artist of the Year” in 2014, one of five artists chosen by Al Miner, Assistant Curator of Contemporary Art at the MFA in Boston, as part of Cambridge Art Association’s 70th year celebration. 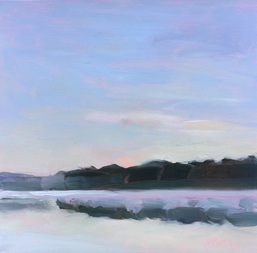 Jeanine is represented by Sloane Merrill Gallery in Boston, Gallery Blink in Lexington, MA and Nest in Dedham, MA. To visit Jeanine's web site click here.